SAN JOSE, CA August 16, 2018 – Excelero, a disruptor in software-defined block storage, announced that it received strategic investment funds from Western Digital Capital, the strategic investment fund of Western Digital Corp. (NASDAQ: WDC). This investment represents the fourth strategic player to invest in Excelero, including Micron and Qualcomm, and brings the total VC funds invested in Excelero to $35 million. Excelero will use the funds to accelerate its go-to-market activities worldwide. 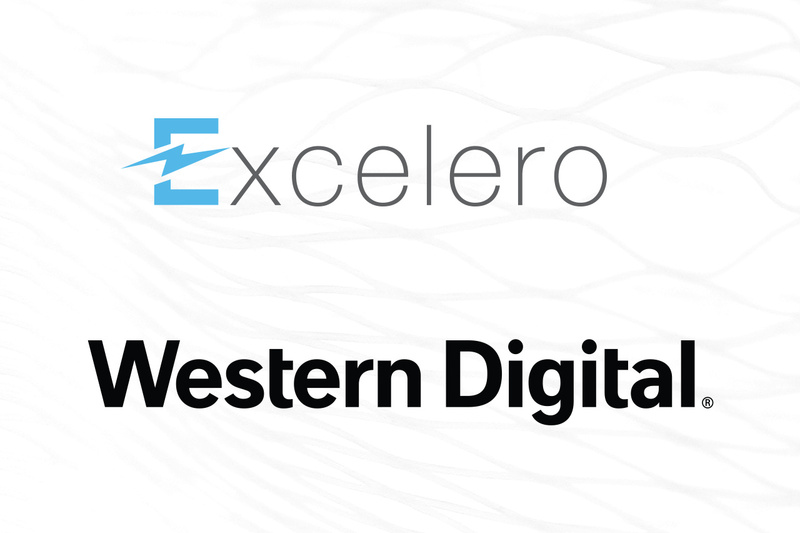 Separate from the funding, Excelero and Western Digital have begun technical collaboration activities whereby the two firms are offering web-scale storage solutions to some of the world’s largest, most demanding enterprises and service providers. By harnessing Excelero’s award-winning NVMesh® software-defined block storage solution along with Western Digital’s NVMe SSD hardware, the companies are delivering unrivaled storage scalability, performance, and agility. The Western Digital Capital funding follows an extremely strong Q2 2018 for Excelero where revenue growth topped 50% Q/Q and where results represented the fifth consecutive quarter of 50% Q/Q revenue growth or better since the company’s first customer revenue, prior to its March 2017 launch. With numerous web-scale customer deployments across multiple high-growth verticals – media & entertainment, government and Web & Cloud – Excelero is experiencing the rapid adoption that speaks to the appeal of its hardware-agnostic approach. As more enterprises embrace web-scale architectures, Excelero is delivering the agility, ready scalability and efficiency from which to easily grow their operations. Flash Memory Summit, produced by Conference ConCepts, showcases the mainstream applications, key technologies and leading vendors that are driving the multi-billion dollar non-volatile memory and SSD markets. FMS is now the world’s largest event featuring the trends, innovations and influencers driving the adoption of Flash Memory in demanding enterprise storage applications, as well as in smartphones, tablets, and mobile and embedded systems.